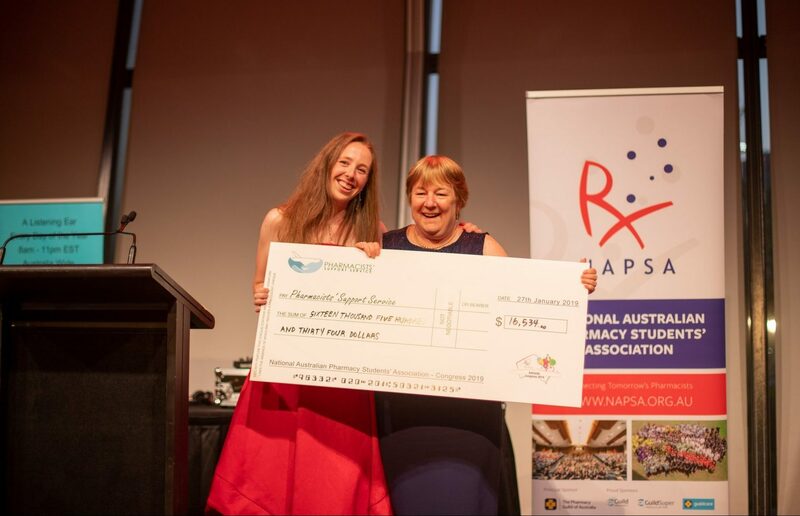 NAPSA Congress Organising Chair Caela Crane (left) presents the cheque to PSS Secretary Kay Dunkley (right). 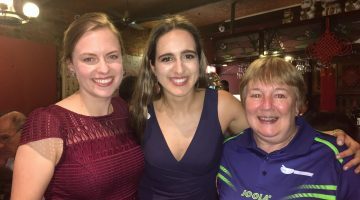 The National Australian Pharmacy Students’ Association (NAPSA) gifted $16,534 in donations to the Pharmacists’ Support Service (PSS) at the NAPSA Congress Gala Ball on Sunday night. 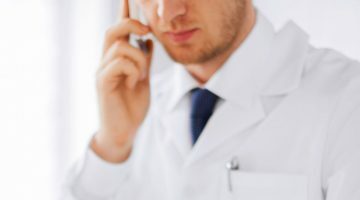 PSS provides a listening ear over the telephone to pharmacists, pharmacy interns and students who require support, and the organisation also receives calls from family, friends, colleagues and pharmacy staff who are concerned about a pharmacist. PSS president John Coppock says he’s “absolutely stunned” by the amount raised by NAPSA. “I’m still buzzing from the amount of money we fundraised,” he told AJP. Mr Coppock highlighted the importance of the work that the PSS does. “PSS has got to be publicised widely to the community because a lot of pharmacists still don’t know that PSS is available – and you hope that you never have to need it. “A healthy pharmacist is so important for the wellbeing of the public. Good mental health is so important because if a pharmacist has good mental health, then they are less likely to make an error. The pressure in society right now is enormous. Jess Hsiao, NAPSA President, said: “As students prepare to enter the pharmacy profession it is reassuring to know that the PSS are always available for support. As soon-to-be pharmacists it is important to be proactive and look after our own mental health within our day-to-day practice. 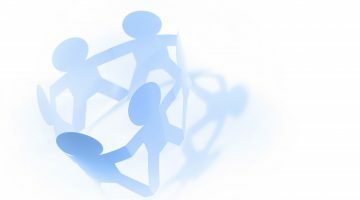 “NAPSA supports PSS in all their amazing efforts and dedication to the individuals who make up our profession. We are very pleased to be able to support PSS to enhance wellbeing in all members of the pharmacy profession,” said Ms Hsiao. NAPSA has a representative on the PSS board, which Mr Coppock says is a positive addition to the team. He thanked NAPSA for their contribution to such an important service. The Pharmacists’ Support Service is available to all pharmacists, intern pharmacists and pharmacy students throughout Australia every day of the year between 8.00 am and 11.00 pm EST. Pharmacists who are distressed can call 1300 244 910. Pharmacists can support PSS by clicking on its site directly or via Facebook, and will then be taken to its online giving portal, hosted by Give Now.